A few Sundays ago we had a break in our cold, wintry weather and we went for a drive to Lowan Conservation Park, a 40 minute drive north east from home in Murray Bridge, South Australia. The park is about 15 kilometres south east of Bowhill. I had visited this park on several previous occasions and found that the birding can be either a feast or a famine; it all depends largely on what is in flower, or the weather conditions. The park is predominantly mallee woodland (see photos) with a mixture of other smaller scrubs and bushes. My wife has written about some of the plants on her site here. That is not a great list, but there was not much flowering. In a park of some 660 hectares one would expect far more honeyeaters, but the mallee has to be in flower. Honeyeater species I would expect to see – or already have seen on other occasions – include: Striped, White-fronted, White-eared, White-plumed, Spiny-cheeked, Purple-gaped, Yellow-plumed, Brown-headed, New Holland and Red Wattlebird. In addition to the honeyeaters I would expect to see more parrots, pigeons, wrens, thornbills, chats, woodswallows, robins (I did see one, but it flew off before I could get a positive ID), owls, nightjars, frogmouths, swallows, cuckoos, eagles, kites, falcons and even a Malleefowl or two. I have seen two Chestnut Quail-thrush there many years ago; I hope that they are still around. I guess that the best time to visit would be in the spring, when there is a chance of more flowers. I think that it might be worth camping there overnight. 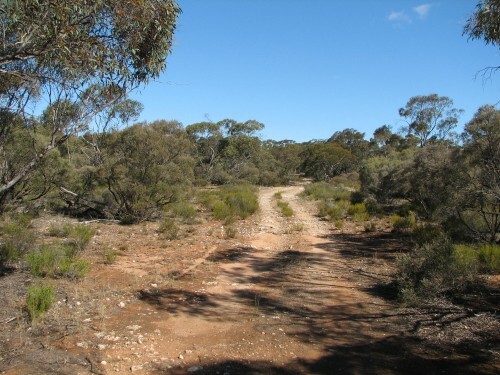 By the way – there is only a rough, stony and sometimes sandy track through the park and NO facilities at all. I didn’t do much birding today. I decided that the weather was far too cold. We are having a really cold winter’s snap here in South Australia with heavy rain, very cold temperatures, blustery winds and even snow. Snow in our state is such a rarity it receives plenty of coverage in the news. We average one snow fall every few years and it only lasts a few moments on the ground – if it reaches the ground. Nothing like the countries where some of my readers reside, I know, but then you don’t have to contend with our severe summers which we take in our stride. Or our snakes. Or spiders. Or sharks… you get the picture? Despite the cold, inclement weather I was still able to be aware of the birds in and around our home and garden. The New Holland Honeyeaters and Red Wattlebirds were busily feeding on a few native plants and trees which are currently flowering. The Australian Magpies have stopped fussing about whether it is time to start building nests yet. 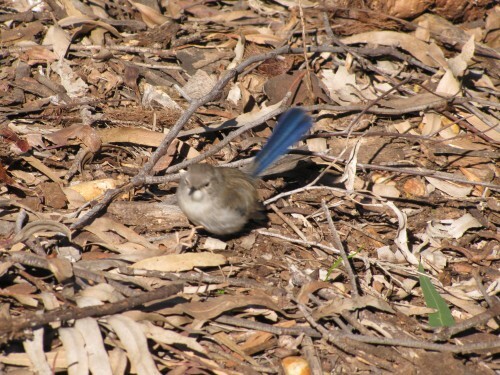 A small party of White-browed Babblers scratched their way through the leaf litter a few days ago and the little family of Superb Fairy-wrens always seem to be happy to flit and hop around the garden, no matter what the weather dishes up. Yesterday I noticed two Little Ravens scratching around in the grass I haven’t mowed recently. They seemed to be having a good feast. 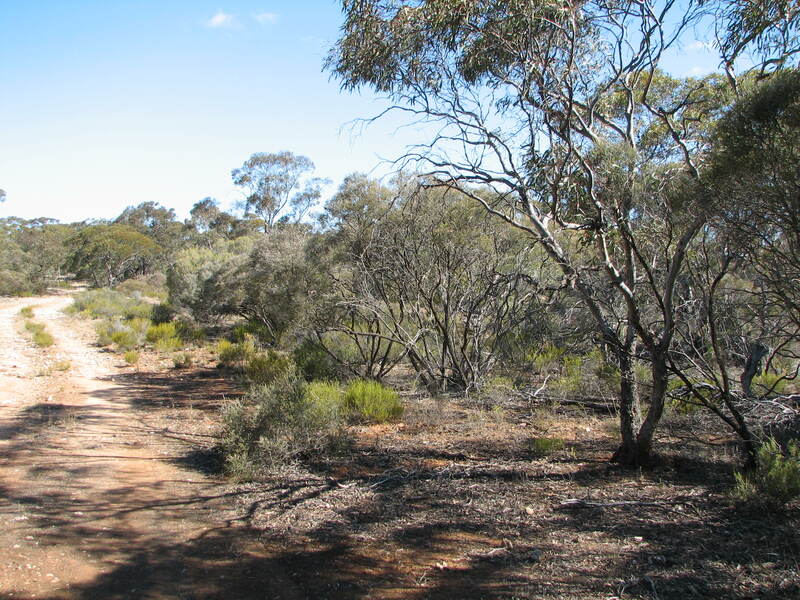 A few days ago I also heard several Grey Currawongs calling but they must have been just passing through our mallee scrub and not stopping. Earlier in the week I heard a Barn Owl screeching outside during the evening; we had visitors at the time so I didn’t go out searching for it. Just click on the name of any of the species mentioned in this post. A link will take you to photos and stories about each of the species mentioned. Reading those articles might help you to while away some poor weather in your part of the world. 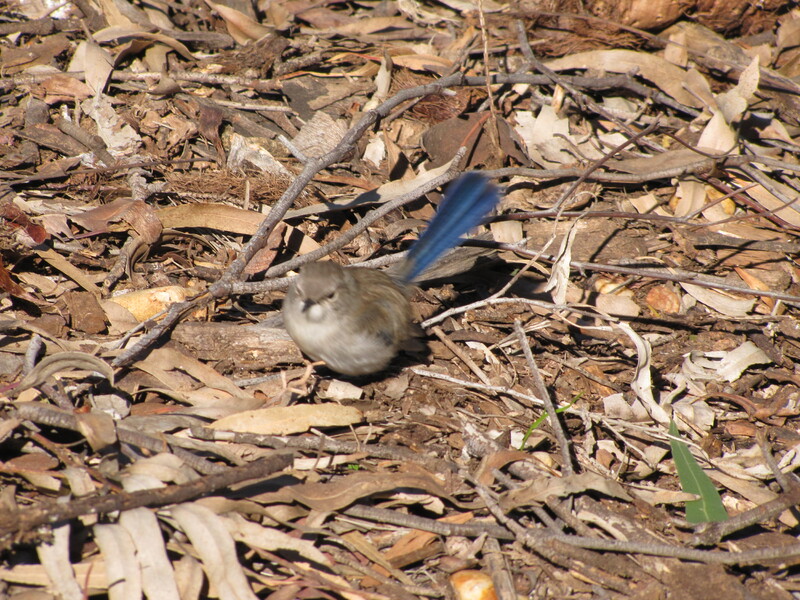 A few days ago I wrote excitedly about the increase in Superb Fairy-wrens in our garden. The numbers have risen steadily in recent years. At first we only had two, a male and a female. Later this became three, then four and soon five. Now I have counted SIX individuals. Two days ago they all came hopping along through our garden, feeding as they came. Most of them stopped for a drink at the bird bath, and several had a quick dip. I did a quick count – and a recount to be sure. 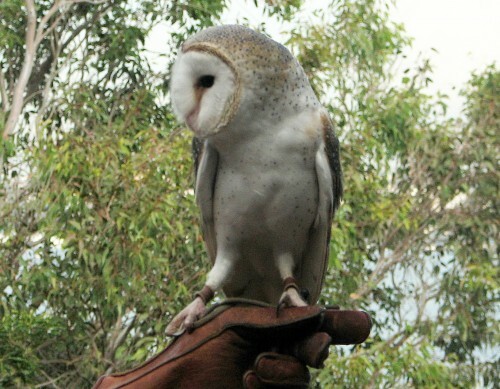 Yes – there were six of them, one in male plumage and the rest were the plain brown of the females or young males. I can never work out the different between the females and the young males. I have observed that several of them are displaying begging behaviour, so it seems that a number of the uncoloured birds are actually recently fledged. That’s good news; it proves successful recent breeding attempts. It also bodes well for the future of this small but steadily growing population. They are quite the lovely little family group, adding much colour and character to our garden. Most mornings we have breakfast in our sun room overlooking our garden and several bird baths all within five metres of where we sit. Quite a few of the photos I have shared here over the years were taken from that very spot. After breakfast I usually read the daily paper and attempt the various puzzles as time and patience allow. Yesterday I looked up from my paper to see our little family of Superb Fairy-wrens coming in for a drink and a short splash in the water. As I watched I did a quick count – and then an excited double check. We now have five wrens in our garden. They have either been joined by another, or have been successful in breeding this summer. One of them was begging from the coloured male, so I lean towards a happy nesting event recently. This little troupe of birds has grown steadily in numbers over the last three years. I had recorded this species in our garden over twenty years ago and then they disappeared until three years ago. I suspect the many feral cats in the district are to blame. On our arrival home after an overseas trip in the middle of January three years ago we were delighted that a coloured male and a female had taken up residence in our absence. 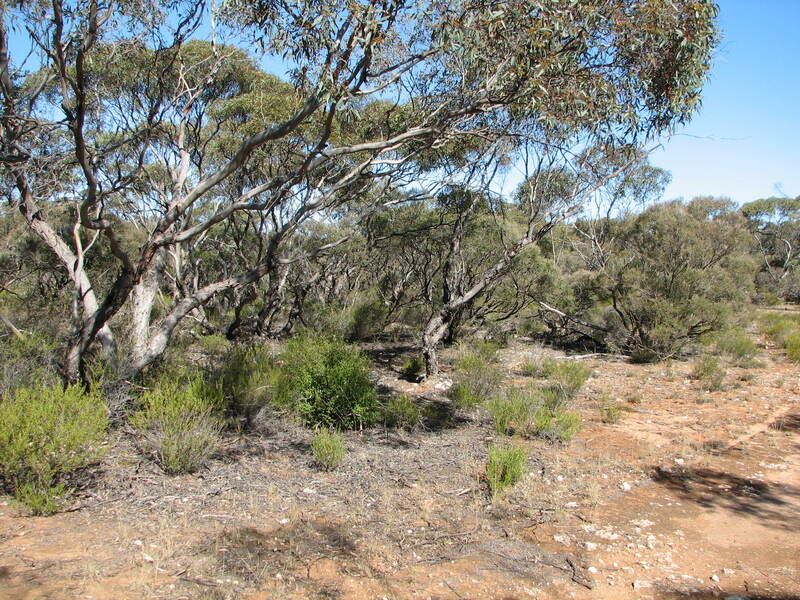 Several family groups have always been present up the hill from home in some bushland about a kilometre away. For some months we saw just the two of them. Later that year we saw three together on many occasions, and the next year there were four – and now we see five together. We are delighted to see and hear them in our garden on most days and pleased that they consider our garden a suitable habitat in which to reside and breed. I am not showing any new photos today because I didn’t take any on this occasion. Instead, I have listed below some links to previous articles with photos of wrens for you to look at. I have just informed my wife that I insist on doing the clothes washing. Reluctantly she has agreed to my request. My reason is simple; many times in recent years I have had some wonderful birding experiences while hanging out the washing on the clothes line – or bringing in the dry clothes. My eyes are always gazing upwards when doing this easy household chore and I have seen some great birds during this activity. Perhaps the most stunning was seeing a Peregrine falcon at top speed heading for what I think were some pigeons. Whoosh! Adding to the birding dimension is the fact that our clothes-line is surrounded by trees and low to medium Australian Native plants (see me wife’s site here), so there is always some bird activity all around me. Distractions are common! My latest Great Birding Moment happened yesterday while taking in the washing. 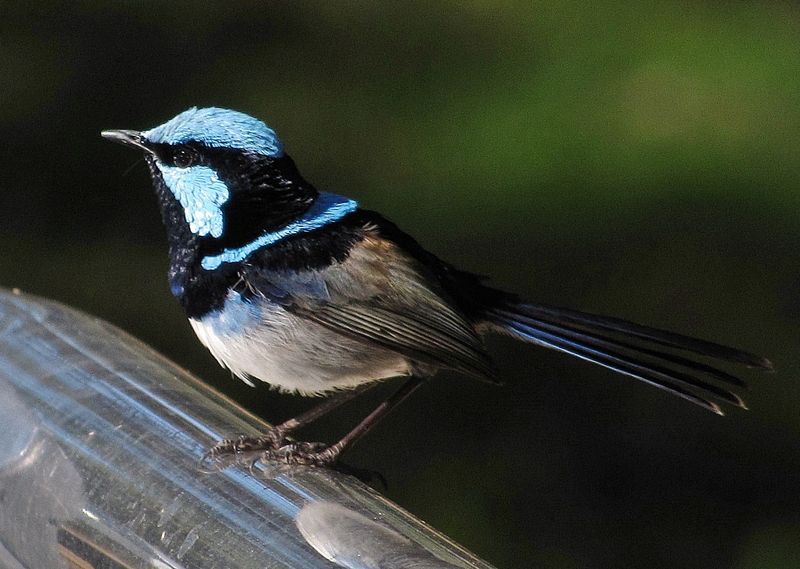 I had almost finished and a female Superb Fairy-wren landed on the clothes-line next to me. As it cheerily chattered to me I could have reached out and patted it. It stayed there calling quietly to me for nearly a minute – a whole magical minute! I felt so privileged – and truly blessed. Great Birding Moments #1-35 The above article is one of a series of articles along a similar theme. You are currently browsing the archives for the Wrens category.